Mid-cycle refresh, complete with slew of new engines, will be unveiled at 2015 Geneva Motor Show. It won’t be long before the mid-cycle refresh of the 3 Series breaks cover at the 2015 Geneva Motor Show, and these latest spy shots show what BMW has in store for the updated 3er in both sedan and wagon body styles. Exterior changes will be limited. 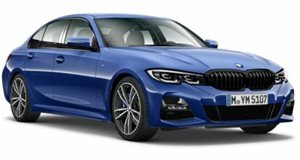 The adaptive LED headlights that come with the 4 Series will be adopted by the 2016 3 Series, while the front end will be updated with a restyled bumper, deeper inset headlights and newly shaped kidney grille. The refreshed 3 Series will gain several new engines, including a variety of 3-cylinder diesel and gasoline engines sourced from the new Mini. Sources suggest the 335i will become the 340i and the 328i will be replaced by the 330i as a result of these new powerplants. After debuting in Geneva, deliveries of the 3 Series facelift will start in the summer.